Twist to expose LOTION TUBE and apply in circular motions to irritated skin. With contact to your skin it will melt slightly and penetrate giving you a moisturised relief on irritable areas. Ceraalba, Butyrospermum Parkii, Theobroma Cacao, Moringa Oleifera, Helianthus Annuss, Perfume & Colour. All our products are formulated with anti-ageing properties. 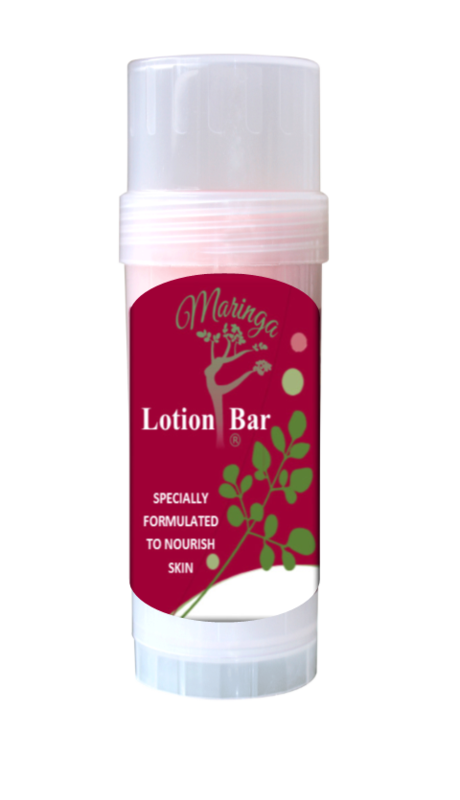 Skin Care by Maringa® LOTION TUBE is a solid nurturing and nourishing lotion that easily melts by the warmth emanating from your body. Formulated with concentrated Moringa Oleifera oil, Vitamin E and Beeswax will relieve redness and sooth irritated skin after shaving or waxing.